Home>News>News>Why evaluate the quality of a company’s CSR? Why evaluate the quality of a company’s CSR? 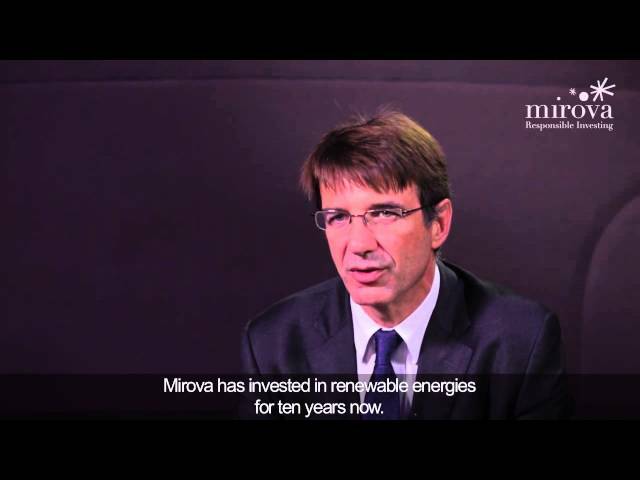 Introduce us to Natixis Asset Management & Mirova. How do the two entities fit together? With close to 300 billion euros of total assets under management, Natixis Asset Management is the European investment solutions division of Natixis Global Asset Management. Natixis Asset Management is organized into six different investment divisions, of which Mirova is the one specializes in responsible investment. Natixis Asset Management has been a PRI signa tory since 2008, and practices responsible investment as an integral part of its CSR policy. Notably, this translates as the progressive incorporation of ESG criteria in addition to responsible voting and engagement practices. - where the stakes of sustainable development are part and parcel of the thinking process. These two distinct yet complimentary approaches call for significant investment in responsible investment research. How should companies prepare to meet with your analysts? With French SRI analysts in general? Our goal is to evaluate the quality of a company’s CSR. -the principal environmental and social issues facing the company at all levels, from the production process to the supply chain, to the end-use of goods or services. -the means deployed in the aim of improving social and environmental outcomes, as well as the results achieved relative to predefined goals. I dare hope that these expectations are not specific to Mirova, but that they are instead shared by SRI analysts in general – whether they are French or not. What do you use external research agencies for? What do you use brokers for? What do you prefer to do in-house? Extra-financial agencies can currently be useful for measuring the degree of managerial commitment to social responsibility at large corporations. However, these agencies would benefit from a revision of their methodology for measuring social and environmental performance. Brokers can be helpful in generating fundamental analysis that includes the relevance of products or services to the pillars of sustainable development. Indeed, they would do well to drastically refocus their activities on fundamental analysis. Internally, we concentrate our efforts on identifying the most socially and environmentally innovative companies, while reducing our risks by avoiding companies that lack transparency on CSR issues and by taking action under our engagement policy. What issues would you most like to see researched in detail over the next six months? - a measure for possible contributions to the reduction of greenhouse gasses toward a +2°c trajectory. > How to construct indicators at the fund level to measure whether investment decisions are being made on the basis of anticipating short term market behavior or according to long term expectations. What development would you most like to see in SRI in the next five years? What would you like to see avoided? -To develop: An SRI label that funds would qualify for only if they pursue and can, to some extent demonstrate social and environmental outcomes. -To avoid: The persistence of so-called SRI strategies which apply ESG criteria cosmetically but continue to invest savings according to traditional market indices.